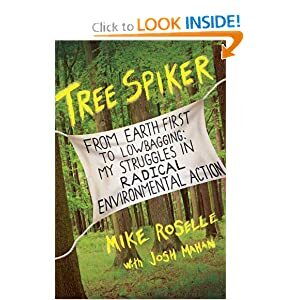 Roselle—cofounder of the Rainforest Action Network and Earth First!—offers a memoir of his career in radical activism—from teenage Yippie to career environmentalist, who admits he shares his generation's complicity in creating the mess we are in today and is now fighting against mountaintop-removal coal mining in Appalachia. Video excerpt from interview by Michael C O'Connell (hawriverfilms) of Mike Roselle, from a jail cell in West Virginia. Mr. Roselle has protested mountaintop removal coal mining in West Virginia. Interview shot for upcoming project by Haw River Films. Non-Violent Civil Disobedience has been an option for citizens to attempt to change laws that are considered unfair or are not being enforced by government regulatory agencies.